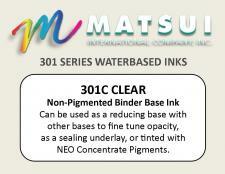 301C Clear Base is a translucent binder that can be tinted using NEO Color Concentrates or printed as a stand alone clear. 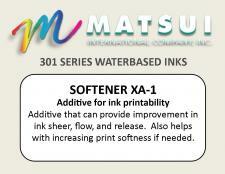 It can also be used as a reducer for pigmented white inks. 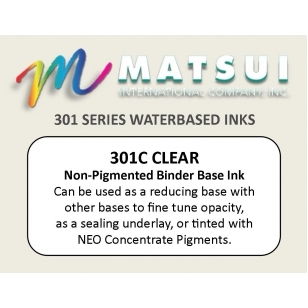 Matsui 301C Clear Base 5.0 A Great Water-Based Binder Base 08/19/2016 By Triple Stamp Press We use this along with NEO pigments for all of our straight Water-Based screen printing.